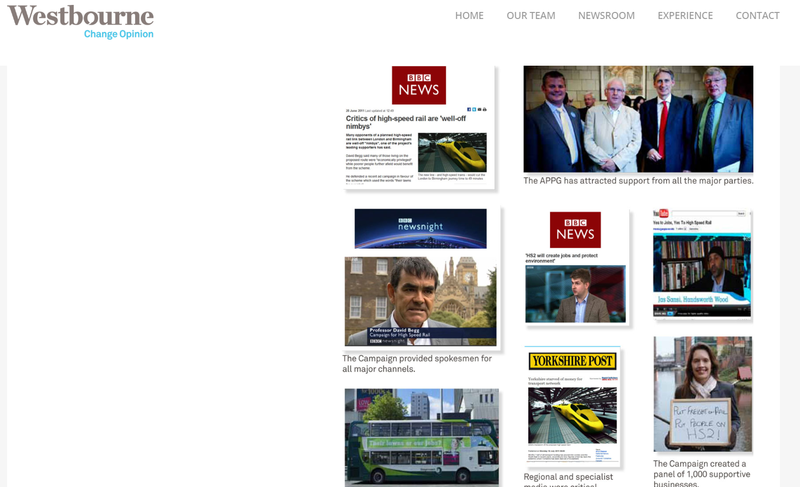 High Speed Two Ltd has one prime directive which is the entire focus of the organisation from day one of it's establishment by the Labour Government in 2009. That Prime Directive was to neutralise public opposition to a High Speed Rail Mega-project in the UK, which so far had prevented earlier attempts at High Speed Rail. It remains the Prime Directive and governs every step HS2 Ltd takes. This is achieved through a vast programme of "engagement" with the public, media and politicians which sees any questioning and scrutiny of the megaproject as a threat and opponents of the megaproject as the enemy which must be destroyed by engagement in a military sense. Over the years, 17 Public Relations Agencies have been hired to smear opponents as Nimbys - that is selfish people opposed to local development out of principle, caring only about their own circumstances and incapable of seeing the greater good or public interest. The term "Nimby" which stands for Not in My Back Yard was a smear developed by the Nuclear Industry in the 1970's to neutralise growing community opposition to nuclear power stations in the same way the CIA weaponised the existing term "Conspiracy theorist" to label, smear and discredit any investigative journalist or citizen probing the 1963 assassination of John F Kennedy. So what kind of dirty tricks so far have been used against HS2 campaigners and residents questioning this huge megaproject. 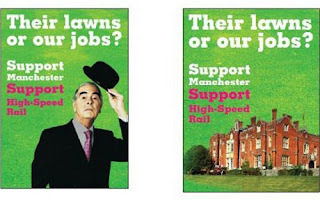 Firstly, one of the most effective campaigns was conducted by Westbourne Communications in 2013 against communities along the first phase of the route " Their lawns, your jobs" smear - successfully labelled community groups as rich southern nimbys trying to block a worthwhile national project which would bring jobs to the deprived north. In fact most of the families being driven from their homes by HS2 are uncompensated lower income tenants rather than wealthy home owners haggling for a bigger payout. Another campaign was organised by HS2 overtly to discourage residents using their historic rights to petition the Houses of Parliament against the scheme, by restricting access to the petition process through a chargeable fee and complicated online filing process. Members of Parliament and Campaign groups were restricted from representing residents at the parliamentary hearings. Individual campaigners have been singled out for online abuse by a number of Rail Industry trolls who are indirectly funded to bully those community campaigners and also residents who dare to venture and opinion on HS2.